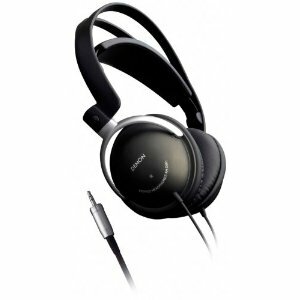 Lightweight and comfortable, Denon's AHD-501K headphones provide the perfect combination of fidelity and versatility. Designed for multiple applications, the AHD-501K is an ideal on-the-go headphone that provides significantly improved sound quality compared to standard ear buds. At home, the AHD-301K becomes your personal concert hall, with precision 35mm drivers that provide smooth, balanced and extended frequency response to beyond the highest audible frequencies. The split headband design provides quick and easy adjustment for maximum comfort, along with a housing reversal mechanism that allows one-ear monitoring that is ideal for DJ use. The unit's light weight ensures hours of fatigue-free listening. Each enclosure features soft, foam-filled padding that provides comfort along with maximum isolation from external sounds. For utmost audio fidelity, the cable features OFC oxygen-free copper wiring with a gold-plated 3.5mm plug. The AHD-501K is also supplied with a 1.7-meter extension cable.